Literacy for those with visual impairments and blindness is paramount for a good quality of life, just as it is for normally sighted persons. Over the past several decades, the number of people versed in braille has significantly declined and as one would guess, so has the drop in literate blind and visually impaired students. With the prominence of technology steadily increasing over the years, teachers, students, and parents are turning to electronic readers, special devices, and videos for communication with people with vision loss and blindness. However, there is something that can be retained from braille that these aides don't provide. 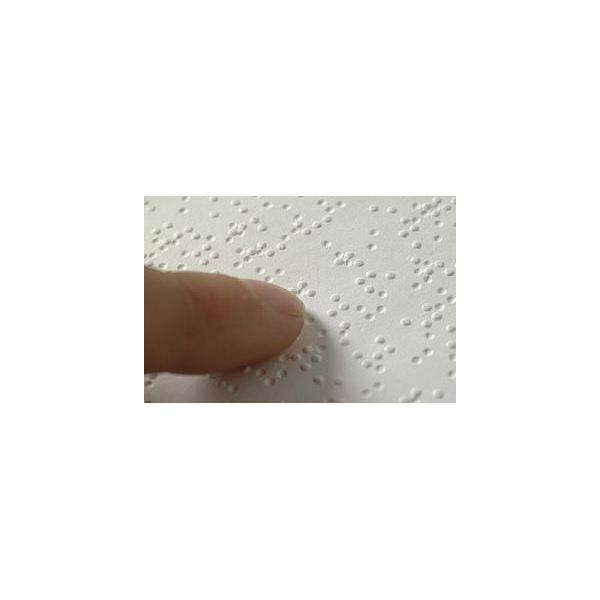 Braille offers something that assistive devices and readers cannot which is printed information. Use braille alphabet cards just as one would for teaching and learning when normally sighted. Who Uses Braille Alphabet Cards? Anyone who is learning braille due to low-vision or total blindness can benefit from braille alphabet cards. The same is applicable for parents of a young child with this impairment. Teach children at preschool age with these cards so that when they enter elementary education they are already on the road to literacy instead of waiting until they enter kindergarten. Those who have recently gone blind or are new to braille after living with SVI or blindness can start at the ground floor with braille alphabet cards. For parents, to relay the message to your child that reading with your fingers is possible, try hand over hand learning. Do this by laying out a few of the alphabet cards, such as A, B, and C, in front of you or you and the student. Run your finger over the raised dots and say the name of the letter at the same time. If you are teaching someone using the cards, place their hand over yours so that your fingers are stacked on top of the letter and trace it together. Repeat this exercise several times with each card over a series of sessions until mastery. If you are teaching a student, over time let them trace the dots on their own. After a while, you can begin placing letters together to form 2, 3, and 4 letter words in succession continuing to read the word to the child and having them read it with you. The alphabet is part of the foundation for reading. Think about it, when you are able to read you have access to so much more than you would if you relied only on verbalized communication to gain information. Print allows for freedom and the alphabet is the best place to start that quest for independence. Once mastery of the alphabet has occurred, the student can build and expand their literacy efforts by writing in braille. Picture cards are available for learning the alphabet in braille. Each card has a picture that represents the letter sound with texture applied to the picture with embossed letters on each one. These cards are better suited for younger children. Braille alphabet cards without pictures are also available and single sheets printed with the entire braille alphabet are available free of charge through many sources as a resource for older learners. Although many schools are not teaching braille as much as they used to, that does not stop you from learning the language on your own. Seek several sources for learning braille, as well as reading materials through state organizations and schools for the blind. Braille Institute–takes a community approach to Braille for low-vision and blind individuals.